Who should partner Eric Bailly? 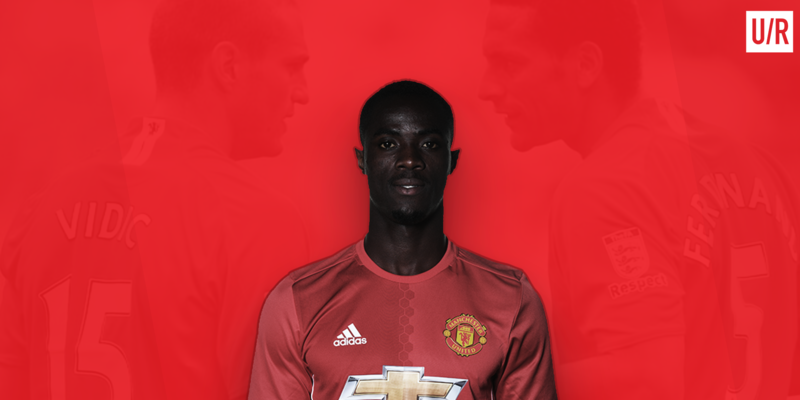 When Eric Bailly was purchased from Villarreal for £30.4 million, he was the first and most low profile of four summer signings made by Jose Mourinho. Looking back, he may have been the most important. From the Community shield where he placed Jamie Vardy in his back pocket to the his solid performance against Celta Vigo prior to getting sent off, Bailly has been brilliant this season. His aggression, speed, and physicality are his most obvious traits, winning 55% of his duels and 51% of his tackles in the Premier League. Bailly has also shown himself to be the strong passer of the ball, with an average pass accuracy of 87%. At 23, he possesses all the tools to be a complete center back and the foundation of United’s defence for the next decade. However, Bailly needs a competent partner. Smalling, Jones, and Rojo are all decent partners, but none of them are good enough to start every week for United if Mourinho wants to bring the Premier League title back to Old Trafford. Axel Tuanzebe has shown himself to be deserving of more time, but it is doubtful he will be Mourinho’s first choice center back. This summer suggests Mourinho could have a warchest of £200 million. Here’s who he could bring in to partner Bailly.. The rumours about PSG’s highly rated Brazilian have heated up in recent weeks and it is easy to see why. Marquinhos is a calm, ball-playing center back who also doesn’t shy away from a tackle. He has averaged a pass accuracy of 93% while also winning 52% of his duels. A proven star alongside Thiago Silva in the heart of the Parisian defence, his calm demeanor is the perfect complement to Bailly’s aggressive nature. At the age of 23, there is the hope that Bailly and him can grow to be United’s new version of Ferdinand and Vidic. With champions league experience and the versatility to play right back, Marquinhos looks to have the makings of a superb signing. PSG has other plans in mind though, naming a price of £60 million that they hope will lead United to look at other targets. The 22 year old Swede seemed destined for United in the January transfer window but, when February came around, he was still a Benfica player. Imposing, aerially dominant, and strong in the tackle, he seems like Mourinho’s type of center back. Completing 90% of his passes and 52% of his duels, Lindelof also has a calm demeanor that complements Bailly. His best performances came against Bayern Munich’s Robert Lewandowski in this years Champions League where even the Polish striker was “full of praise for Lindelof.” Lindelof seems ready to make the step up to United. His ability to defend elite forwards could prove vital to the progress of Mourinho’s United, but Lindelof’s signing of a one year extension in March came with a £50 million release clause that could make this transfer difficult. Atletico Madrid have a future defensive talisman in Jose Gimenez. Since locking down Falcao in his full debut for Uruguay at the tender age of 18, Gimenez has made himself into quite the center back under Diego Simeone. His aggression and expert tackling are his biggest strengths, winning 60% of his duels in La Liga. In a comparison with United’s current crop of center backs conducted by Squawka, Gimenez averaged more tackles, interceptions, and victorious aerial duels per 90. However, he can be a bit rash, earning five yellow cards in only 17 appearances. A proven ball winner, Gimenez would form a fiery and fierce partnership with Bailly. The worry is that with him and Bailly being so similar, would United suffer from not having a calming influence in the center of defense? It is safe to say that the last thing the Red Devils thought they would be doing when they sold Michael Keane for £2 million would be buying him back a year later. However, that may well be the case. He has been terrific at Burnley this season, winning 61% of his duels across 35 appearances. Aggressive in the air and on the ground, Keane has taken the Premier League well. His Premier League experience sets him apart from anyone else on this list. But having just been sold, Mourinho must wonder if he is truly ready to be a starting center back at Manchester United. No doubt, the fans would love to see another former academy player lining up for the first team week in and week out. United will face a fight for his signature against Everton and Liverpool, who are among the clubs interested in Keane’s services. Eric Bailly is a stellar defender, but he needs help. None of the other centre backs currently at United have made a strong enough case to be his partner and it is likely Mourinho already knows who he wants to bring in. Whoever he chooses to partner with Eric Bailly must adapt quickly to life at England’s biggest club. I’d go with Marquinos, Fabinho, Ben Gibson, and I’d get rid of Jones, Smalling, Fellaini, Shaw. Aymeric Laporte would be a perfect fit with Eric Bailly. Calm, quick, great tackler, great passer and is even left footed.